When you hear the words "blue screen of death" you're instantly transported to sitting in front of a Windows PC, sobbing into your keyboard because you've just lost the essay you've been writing for the past hour - but Apple fans are now experiencing a similar trauma. 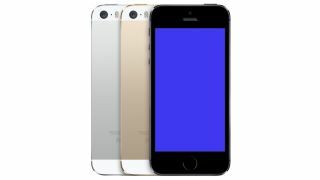 Several owners of the new iPhone 5S have reported their handset randomly rebooting and in some cases displaying a blue screen after the phone seemingly crashes, before then restarting. According to The Verge, the problem is often trigged when using Apple's own iWork suite of apps and when users attempt to multitask between apps. We're sure Apple will be working on an update to fix these issues - we'll keep you posted. Has your iPhone 5S just crashed? Then why not check out some other blips?